The Internet Society is a non-profit organization that has considerable influence, predominately in standards, public policy, and education. At their 20th anniversary annual meeting in Geneva, The Internet Society added a new award. Congratulations to the 2012 inductees into the Internet Hall of Fame! Take a few moments and visit the Hall of Fame Website. The nominations are very impressive with the incredible impact they have had on the Internet, its development and growth. So what do you use those F-keys on the top of the keyboard? Well, those are called "function keys" and they are date back to the old days when computers used DOS. We don't use them much now but they can be used to perform shortcuts on your computer. F1 is almost always a default for help in software programs. If you use the Windows key + F1, it will open the Windows help and support center. F2 - Highlight an icon on your Windows desktop and press F2 to rename the icon. You can also rename the icon by right-clicking on the icon and then selecting rename, but what's the fun in all those steps? F3 - From the desktop, F3 brings up the "find feature" to search your computer. If your Firefox browser is on-screen, it pops up the "fine feature" of the browser. F4 - In the Internet Explorer and Firefox browsers, it will open the address bar. F5 - F7 will start the spell check in Word and Outlook. In Word, it will start the "Find and Replace" feature. F6 - Like F4, it goes to the address bar in your browser. On your desktop it will go to various parts of your workspace. Helpful if you loose your mouse and need to move around with your keyboard. Not something that happens often but trivia that might be useful in the future. F7 - Turns on Caret Browsing in Firefox and I.E. which basically means to navigate the webpage using arrow keys. Press F7 again to turn this feature off. F8 - Another little used but helpful function. Hold down F8 when you are booting your Windows computer to get into Safe Mode. F9 - No programmed use in Windows but will update selected fields in Microsoft Word. F10 - Shows or highlights the menu bar in many programs including Internet Explorer and Firefox. F11 - Opens full screen or "Kiosk" mode for your browser. How cool is that? F12 - No programmed use in Windows but will open the Save As dialog in Microsoft Word. 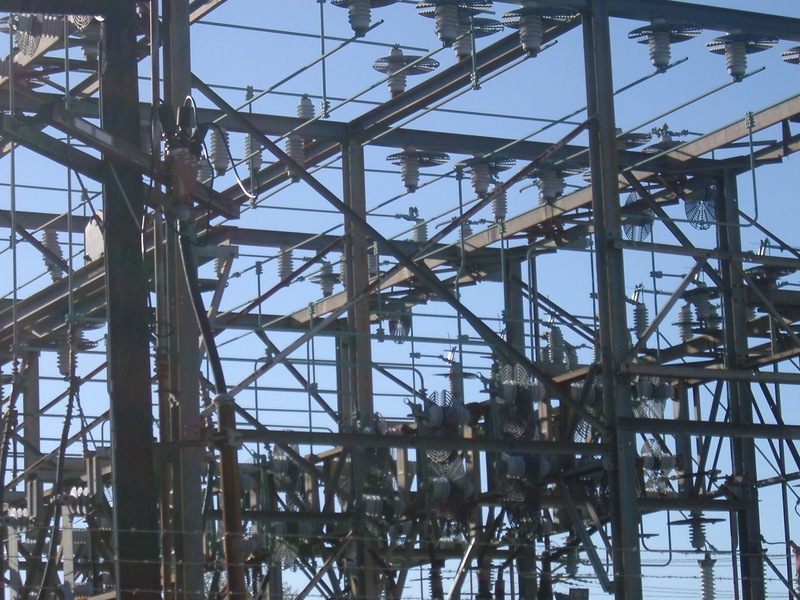 So, do you get tired of the same ol', same ol' background picture on your desktop? Do you wish you could change it out regularly? Maybe use some images from your photo club, your Facebook page or a Picasa Web Album? 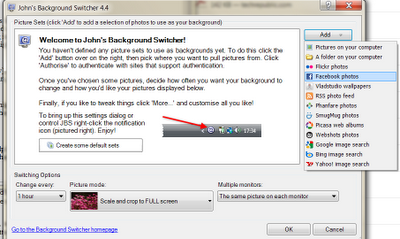 Introducing John's Background Switcher. I am really impressed with this little program that gives you so many options, even let you surf for... let's say, Horse Pictures! 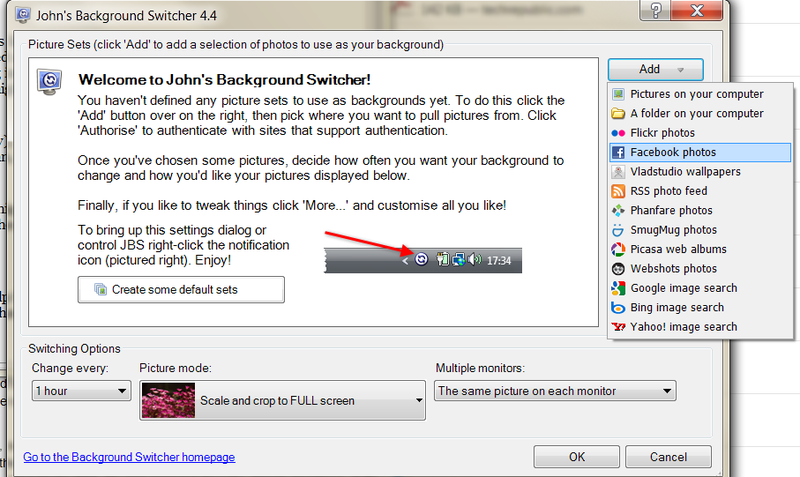 JBS can also change the background for the Windows logon screen.